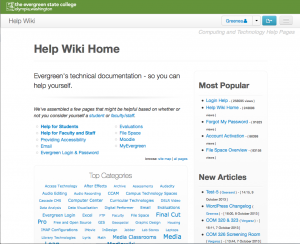 Campus wikis are in the process of being updated to the latest version of Mediawiki 1.20. In addition to the updated version, we are now using a more mobile friendly theme. 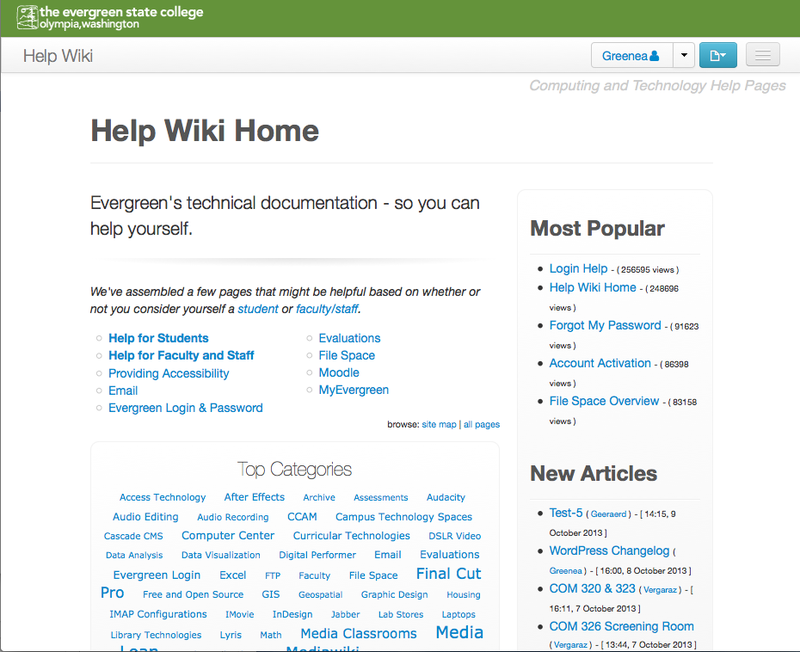 To see what the new wikis look like, check out the updated version of Evergreen’s Help Wiki. In addition to the theme changes, perhaps the most noticeable update is the improved wiki editor feature that allows you to create pages without having to remember wiki syntax. This entry was posted in System Updates on April 2, 2013 by Amy G..